Improve the look and feel of your Ruger 22/45 with Volquartsen�s CNC Machined Aluminum Alloy Grips available in a variety of colors. Each grip is meticulously machined for proper fit. These grips will only fit the Ruger 22/45 with replaceable grip panels. 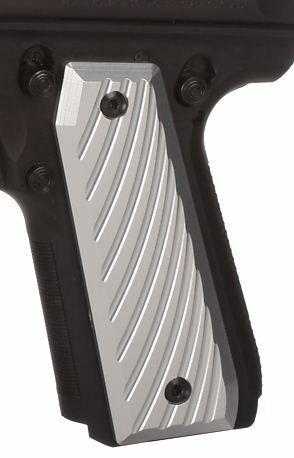 Aluminum grips will use factory grip screws for installation.